Yesterday I went to the mall with only serum, an illuminating SPF base, a spot of concealer, and pressed powder. I felt I didn't need foundation! 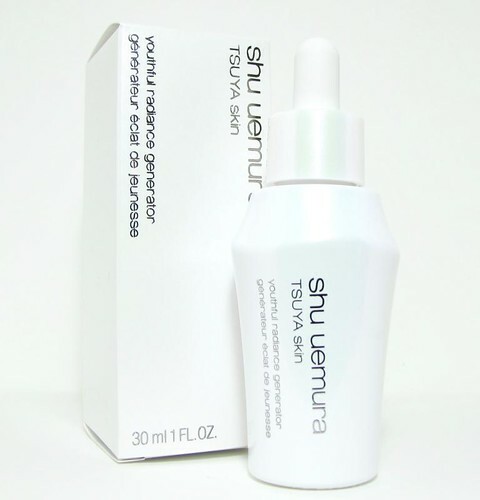 I used to have a TON of blemishes on my face, but they are clearing out faster because of a product I've been using these past two months: the Shu Uemura TSUYA Skin Serum (P3,250). 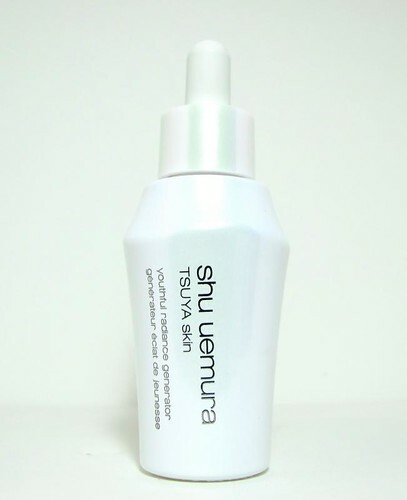 The TSUYA Skin Serum is perhaps Shu Uemura's star product of the year. It promises bright, translucent skin in seven days as it re-activates the cells that make our skin look younger. Yes, we've heard that before in other serums released this year. 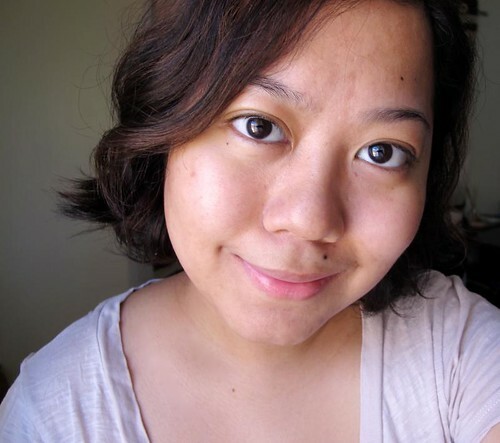 I'm still not sure if it's possible for skincare to do that, but claims aside the TSUYA is damn good and here's why! I did indeed get brighter, less tired skin in seven days or less. That may be due to the fact that the serum is infused with a purplish pearly shimmer that instantly gives skin a subtle glow. It's also an illuminator aside from skincare, but I didn't spot shimmer once it's on. Pimples heal faster with this serum. It doesn't cause or prevent breakouts, but it helps skin to recover from acne and the nasty blemishes that come after. Long term effects are smoother, firmer, brighter skin. I noticed this after two months of use. Can be used alone as a moisturizer if you have oily skin (I do this!) 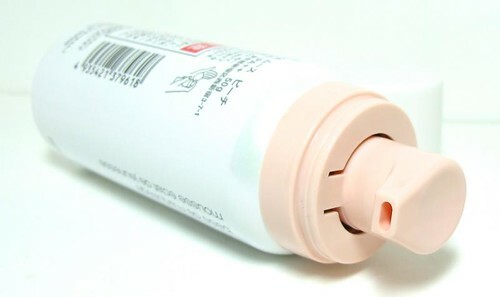 but if you have dry skin you will need a separate product to properly hydrate your skin. The texture is gel-like. Very light on skin, so it won't exacerbate oiliness when you use it under your makeup during the day. Two drops is enough to cover the whole face. Zero makeup, no editing. My skin is far from perfect but I do believe I'm getting there! Well it's not cheap, but in the realm of luxe serums the price is just average. I highly recommend this to anyone who needs something to help brighten skin, clear out blemishes, and just a general overhaul of the skin's texture. 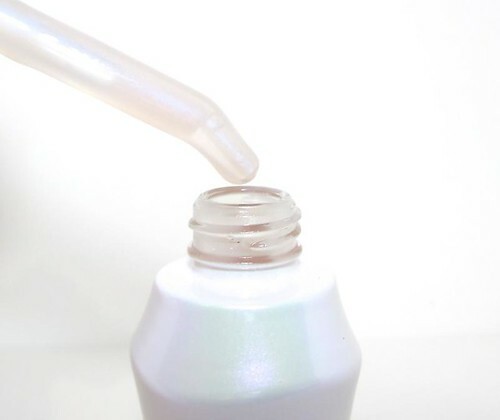 You can use your normal SPF/ night moisturizer after the TSUYA serum so you don't really need to change your routine around it. Now, disclaimer - I can't promise that this serum will work for you as well as it did on me. Our skin reacts differently to products and there's nothing we can do about it. :) If it helps, the other beauty bloggers love this stuff! 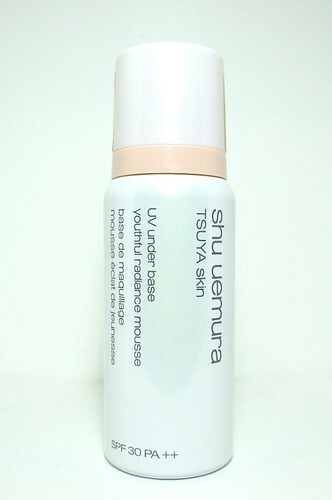 Aside from the serum, there's also a TSUYA UV Mousse in that particular line. It smells like creme brulee, swear! Otherwise it works much like the other Shu mousse bases. 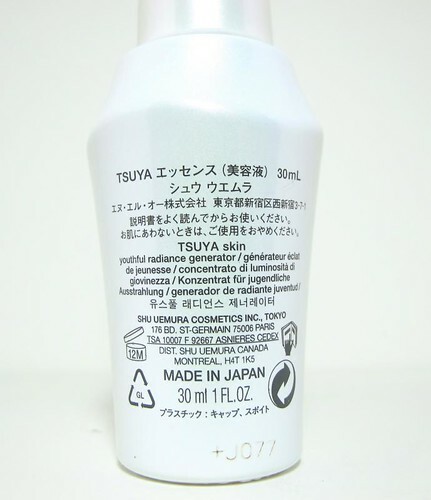 I get small bumps from the mousse so I don't use it, but if your skin does not react then yes you should consider partering it with the TSUYA mousse! It's P2,200. I LOVE IT. I use this religiously every morning and sometimes at night (when I'm on a break from the Kiehl's Midnight Recovery). I use a generous amount since I like it as a moisturizer, but when my skin is dry I add my favorite Clinique Moisture Surge on top. Awesome stuff! You should try TSUYA if you're looking for something to fix stressed skin. It's radiance in a bottle! Hm, I should post my updated skincare routine soon! That said, what's your fave serum ever?